Learn More Zeus is a loving dog who enjoys the outdoors. 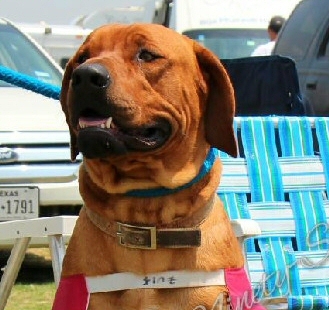 He is a fully AKC certified Rhodesian Ridgeback. Rhea (60 lbs) is a very sweet & loving AKC Champion in Lure Coursing. She has won titles "best of breed" and "best at field" over Irish Wolfhound, Salukis, & Greyhound breeds in field events. Learn More Zoe is a fun and a loving dog, who enjoys being around people. She is a wonderful mother, who dotes on her puppies. She thrives in an active environment and has her Junior and Senior Lure Coursing certificates. Zoe is in perfect health. Learn More We are happy to announce Zoe had her puppies and they have all found their forever homes. Here are some photos of them at 5 weeks old. Learn More We are happy to announce Zeus and Rhea are expecting a litter around late October. Stay tuned! Having been admitted to registration by the America Kennel Club in 1955, the Rhodesian Ridgebacks have been used by big game hunters for over a 120 years. While the Rhodesian Ridgeback is an excellent hunter with near endless energy, when at home they are gentle, obedient and good natured. We are a proud member of the Americal Kennel Club's Bred with H.E.A.R.T. program. Our puppies come with a Health Guarantee. Parents (Sires and Dames) are Orthopedic Foundation for Animals (OFA) certified. All puppies will have up-to-date shots, worming and dew claws removed. 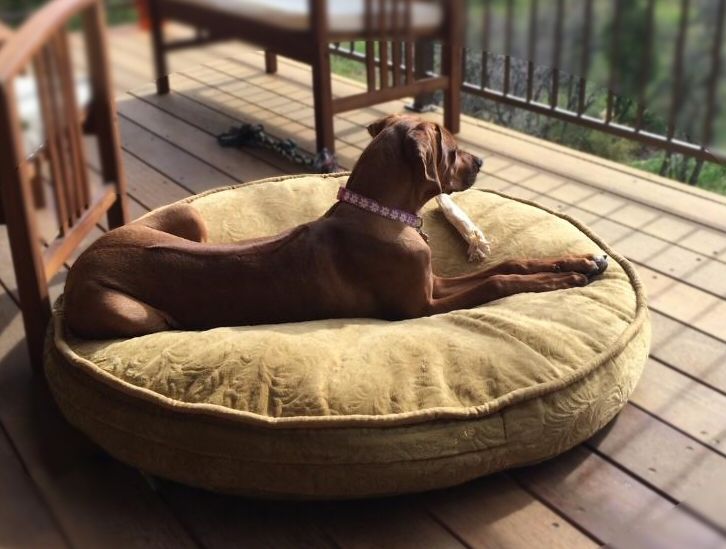 Rhodesian Ridgebacks are great for the active lifestyle. You can take them for long walks. With a lot of stamina, this breed is perfect for a nice invigorating jog. They thrive when given plenty of opportunities to run. Ridgebacks are a loving and wonderful breed! 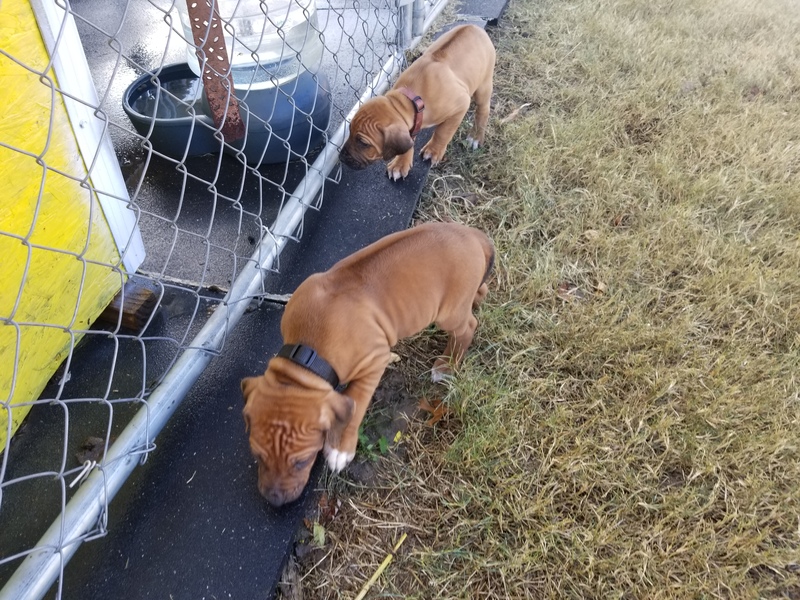 Like all puppies, the Rhodesian Ridgeback needs a loving environment to grow up to be an intelligent, loving and wonderful addition to your family and home. The Rhodesian Ridgeback will test the limits and, if allowed, will crawl into your bed, find a cummfy spot on your sofa and want to snuggle in your lap. Keep in mind, being a loving and caring breed, the Rhodesian Ridgeback needs to be raised with the proper training, so you can set what behaviour is acceptable. 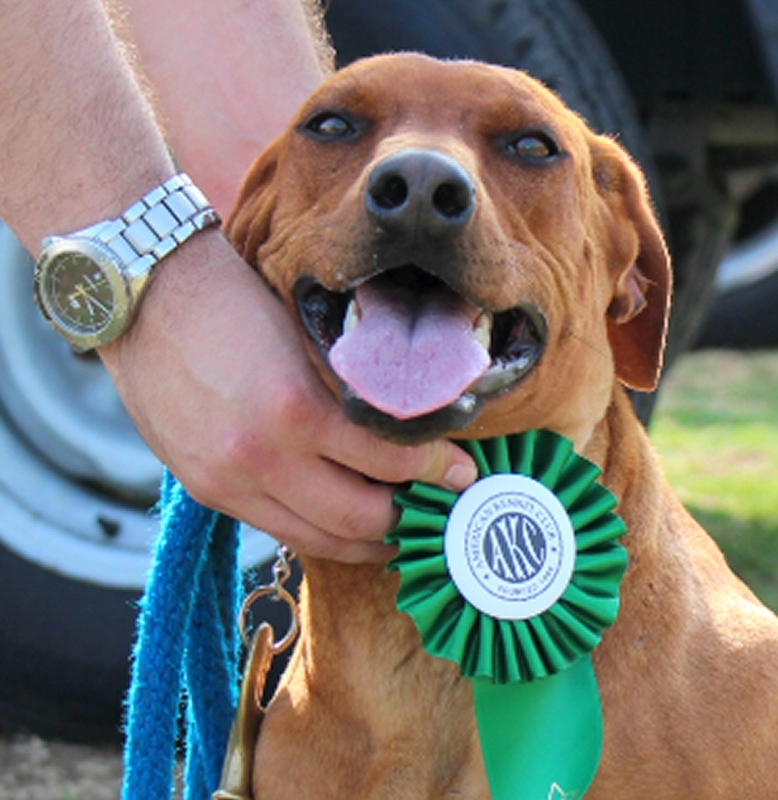 If you have ever thought of adding a Rhodesian Ridgeback to your family, take a look at our breed websites, videos and testimonials.